I'm a mom. I wear smeared banana, boogers, and bedhead hair most days. But, the truth is, I do force myself to get dressed. To run a brush through my hair, and to freshen up at some point each day...because a little effort goes a long long way. I know I've said it before, but how I dress for the day does ultimately affect how I feel about my job and calling as a mom, a homemaker, and as a wife. Troy and the boys love me any way I look, but I love how they seem to feel special when I make the effort to look presentable when I'm going no where special...other than the specialness of spending time with them. I love when being comfortable doesn't mean that I have to compromise on style. So, when Evy's Tree offered to send me their gorgeous hoodies, I was super excited. These are no ordinary hoodies...they are luxurious, super soft, and made with detail and care. Their newest design is the CiCi Peplum. It's not a true "hoodie" but, I love that it can be dressed up or down..
Outfit details: Shirt, J.Crew; hoodie, Evy's Tree; jeans, Gap (old, old); ankle boots, Sam Edelman. Additional outfit details: pencil skirt, Gap (old, but like this one), shoes, Aerosoles (old, old). 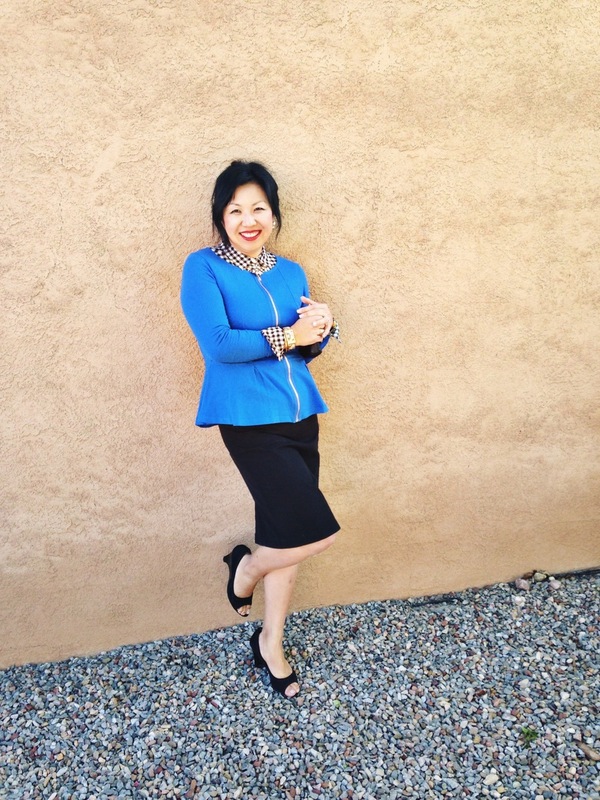 Evy's Tree is offering a 15% discount right now on their new CiCi Peplum! 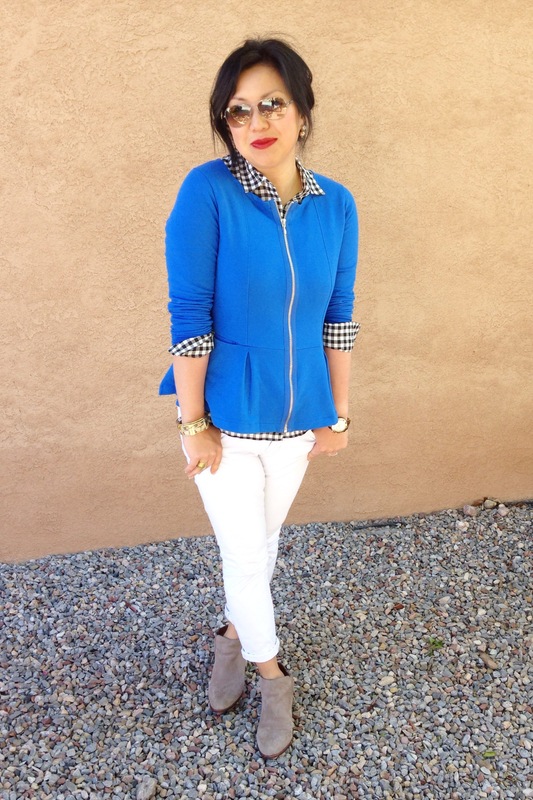 Use code: PEPLUM15 or save 20% on two or more hoodies purchased, use code: COBALT.